Japan trip to Shinji Suzuki’s nursery! Well, I finally got back there… and I brought quite a few photos back with me. So over the next couple of days I’ll run several posts about the week and a half spent at my teacher’s studio: the people, the nursery, the trees I worked on, even the monkeys. Suzuki's main display greenhouse, showing the range of styles and species that he works with. 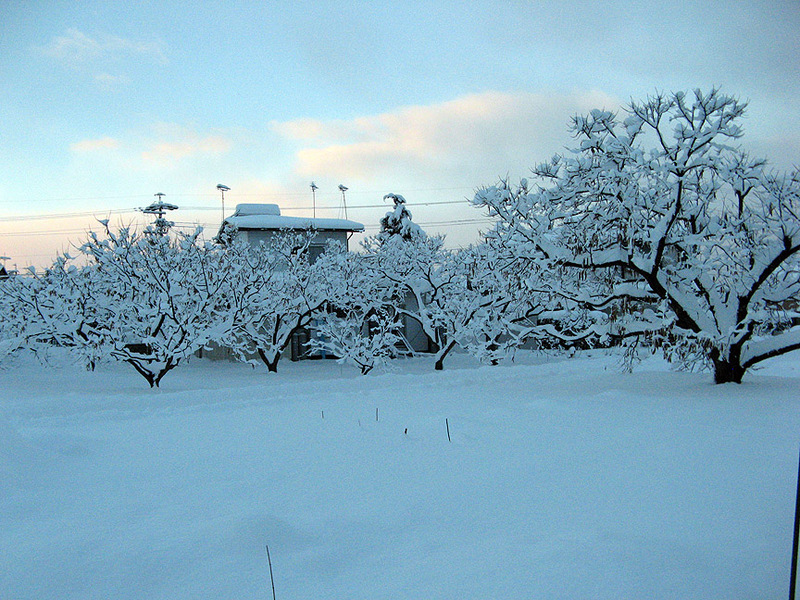 In the first week of my apprenticeship in 2003 there was a record-breaking snowfall. I remember shoveling for over five hours. Two years later it was repeated. Then five years went by---about the time I've been back in the States---and now, on the first day of my visit, they had the biggest snowfall in five years. Suzuki was calling me the 'snowman' by the end of my visit. I love this photo for the inaccuracies it suggests. 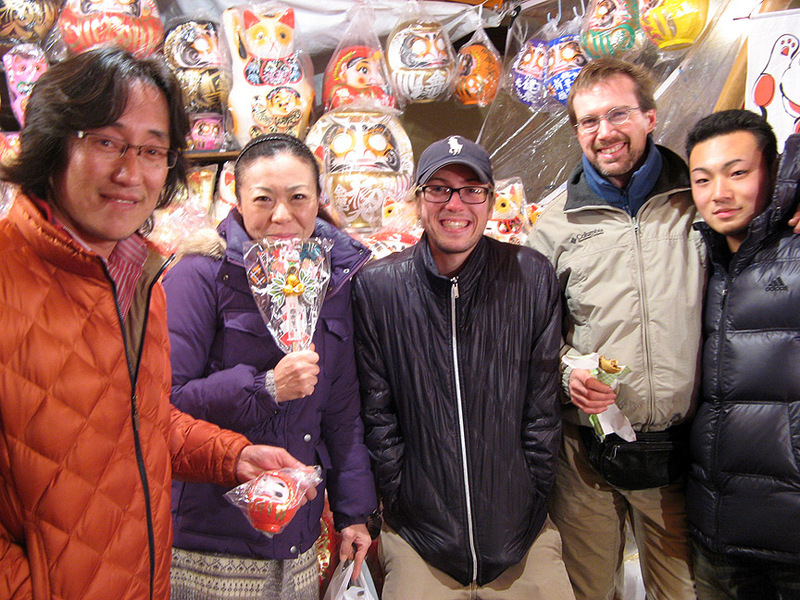 Suzuki-san is on the left, and is not quite as big as he appears, but he's closer to the camera. Larger than life indeed! Mika-san, his manager, is to the right of him. Matt Reel is the next inconsistency, as he's actually 6' 3" and usually towers over me. He's crouching, like that famous tiger. I'm on Matt's right. On the far right is Yusuke, the newest apprentice, who is making an impression of being serious, when he's mostly playful. It's a great shot after a group dinner. This massive black pine (it's almost as high as the wall!) 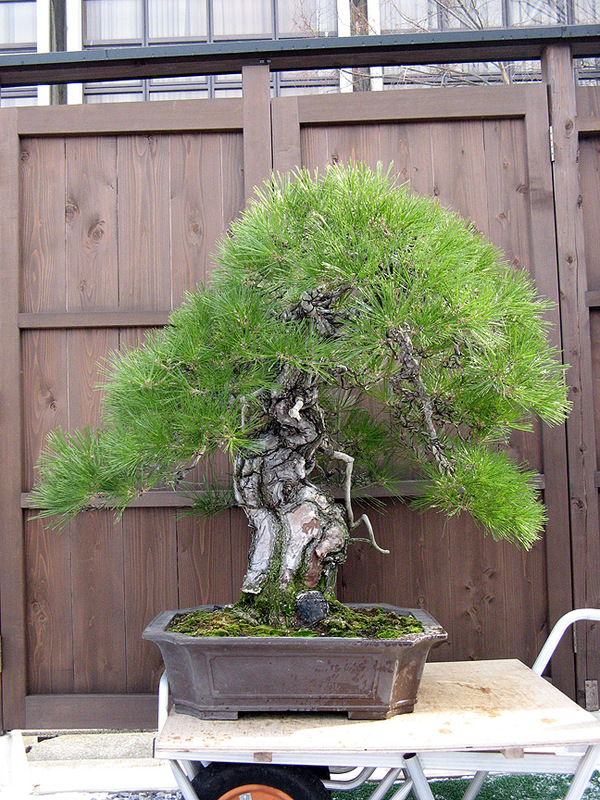 was one of the trees Suzuki gave me to work on. There was a huge change made with it... and I'll include other photos of this tree in a separate post. And I'll post some photos of two trees I worked on that were for the Kokufu show. And some other client's trees. I think I worked on about 12 or 13 trees in 9 days, lost track. 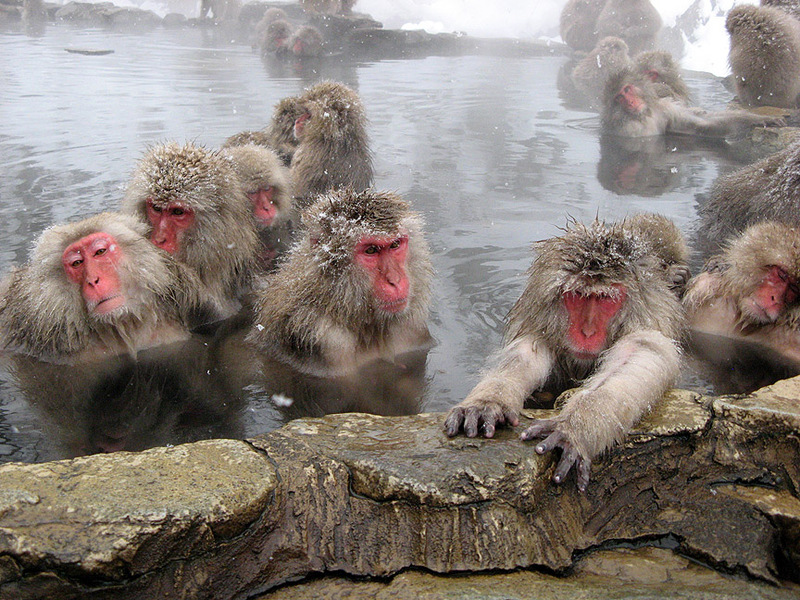 Once again, I went to the snow monkey hot springs, about an hour from Suzuki's studio. There were many more monkeys than the first trip in 2004, maybe because it was so darn cold more of them were at the hot springs. Taking the suggestion, I went to a human hot spring after that, and assumed a similar blissful demeanor. Stay tuned for more posts! 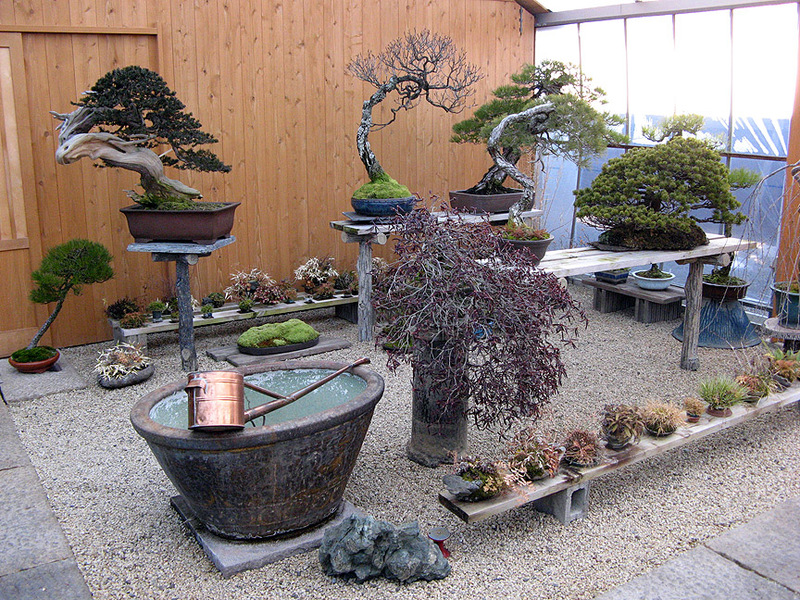 Lots of before and after bonsai photos, and more photos about each of the above topics. Looks like we were in Japan at the same time. I didnt get to work on any trees this trip but i did manage to squeeze a bit of bonsai in. I cant wait to see your future posts. I will hopefully be adding a few posts to my blogs in the comming weeks. I just added some shots from Gafu-ten. Did you manage to get to it? What is that amazingly ramified thing in the lower center of the first pic? Looking forward to more photos of the trees you worked on and the big change to the pine….and of course we all could go for more monkeys. Welcome back Michael, it looks like it was a great trip and I can’t wait to see more pictures and read more about your recent adventures. If Matt wants something to do he can come to my place and give me a hand. I know that you know Anton up in cambell river. Well I found another source for trees . He is a new member of our club and has been collecting for years and has lots of yamadory for sale. Better prices, lots of stock. He did a stint in Japan but I don’t what nursery he was at. If you have the ability to get trees back into the states it might be worth a trip up sometime. It’s a great part of the world to visit and you have some old friends you can say hi to.